My wine club has really been so much fun. I love planning events and meeting new people and discovering new wines. 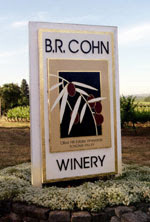 I love hearing about peoples travels to different vineyards and enjoying wines that they have picked up along the way. Last night we had a holiday BYOB here at my house. There was a list of things that people needed to bring, a bottle of wine to share, an appetizer to share, an unwrapped toy for Toys for Tots (preferably keeping in mind toys for older children) and if they would, a bottle of wine for donation for the Junior League Wall of Wine which is being raffled off at the Eve of Eve gala on December 30th. We had about 22 people, and there was some very good food, very good wine, great gifts and some nice wines for donation. B.R. Cohn 2005 Silver Label Cabernet Sauvignon (Sonoma, California)-this was by far my favorite wine of the evening, but I did try quite a few. Very rich and velvety with a nice smooth finish. 98 points from Wine X Magazine. 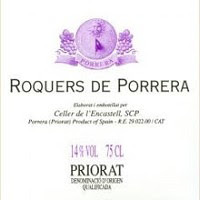 Celler de L'Encastell Roquers de Porrera 2003-this is a Spanish wine with deep, rich fruit flavors. Blackberries, blueberries and strong tannins. This is a handpicked wine, I love the little nuances that each wine brings. This was also rated 91 points and retails for about $26, perfect with a roast or a nice steak, but also great with pastas and a red sauce. Ty Caton 2003 Zinfandel (Sonoma, California)-This is another handpicked, I love the smooth finish of this zin with just a hint of spiciness and pepper. This is a great value wine at about $28. They only made about 400 cases of this, so if you can find it, buy a couple of bottles, you can keep it (if stored properly) to have around for the next 5 to 8 years. Tait the Ball Buster 2006 Shiraz (South Australia)-92 points from Wine Advocate at $18 a bottle, this makes a great gift or is the perfect bottle to have on hand to bring to that cocktail party or to just pour a glass of after a long day of shopping. Over the past couple of years this has been a very consistent wine. Pour a glass and enjoy! Here are some photo highlights from last night, what a great group of wine lovers who have turned into a great group of friends. The sisters S & J. S is due in June, I can't wait, we had strawberry pomegranate juice for her. The boy must have blinked! Playing Christmas Trivia, something must have been funny! I guess you can tell we were drinking red wine!